Hello everyone! I'm back again with another 2nd haul post for today :D I'm so excited to share it on my blog. All this stuffs I accumulate it altogether since last month and this month of May. First, got this stuffs last month. All of it is from Luxola. Thanks to my Love ♥ ordered for me Sigma F80 brush and 2 of the SLEEK Eyeshadow. Finally my dream came true to own a brush from Sigma ^^. And I receive 2 free gifts inside the paperbag from Luxola. Awesome isn't it?! All this stuffs was send to my door step. Very good service! No regret. 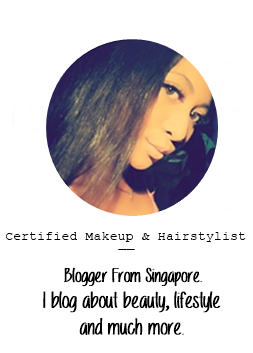 You can click this link to check out their website for lots of beauty stuffs! You'll see each of the items below. Sigma F80 Flat Kabuki Brush. Because, I've use it for a couple of times already. Too excited until I forgot to take a picture of the brush when I receive it that day. HEHE. My very first time to own bright eyeshadow colors. The colors look so perfect to create smokey eye look! Can't wait to play with this colors to create different kind of smokey eye look. And lastly, the gifts that I receive from Luxola. MAC MATCHMASTER Foundation SPF 15. The MAC makeup artist told me that, MAC just launch this MatchMaster foundation in Singapore. 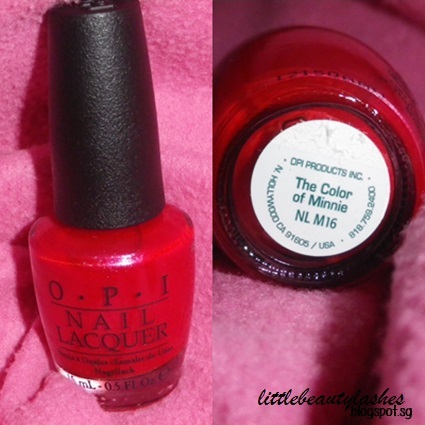 My very first O.P.I nail lacquer ^^. Thank you so much Love ♥. I got this right after I done with my gelish manicure that day. If you miss out reading my very first gelish manicure post. Last Saturday when to Biotherm & MAC at Tangs with my Love ♥. Gotten myself this MAC lipstick. Wishlist finally TICK! ^^. Finally, come to the end of my 2nd haul post. Yay you got some sleek palettes aren't they amazing! Yea! Got lots of lovely stuffs :D I like it a lot! Thank you :) I like the eyeshadow colors too! You should try the sigma face brush! It's amazing! ^^. Yes yes! You should try the Sigma F80 brush! It's amazing! You have to try it and you'll know the reason why. HEHE. ^^. Wooo~ you're from Singapore too. But you're now far from here. LOL. Wow! That's a whole bunch of awesome goodies! I want the Sleek eye shadows so bad! And that red lipstick looks so good too! You should get the Sleek eye shadows too! Their colors really beautiful! Yes! The red lipstick really really look good! :D You should try it too! Woah.. Huge haul and I am dying to see a review of almost all these products as they all look so good! HAHA. I really like all of these products a lot! ^^. & thanks for the invite for the giveaway. Aww.. Don't worry. I receive and read your comment notification from my email. And I just recover from ulcer :D Hope you doing great too. My next post coming up soon ^^. Stay tune!